Alwisa Urassa, is an experienced clinician (2000) from Ifakara Clinical Officers’ Training Centre (COTC) with a Bachelor of Public Administration (Health Services Management) (2006) from Mzumbe University and Masters of Public Health (2009) from The Royal Tropical Institute (KIT) Netherlands. She has attended a number of short courses in GCP/GCLP, Quality system and Quality Auditing between 2007 and 2014. She has extensive experience in research coordination and Quality assurance assessments for clinical trials and non clinical studies. Alwisa has been coordinating malaria vaccine/drug studies conducted in Bagamoyo for over 9 years now. She has also performed a number quality assessment for TB and epidemiological studies. She further works as one of the facilitators for the Master in Public Health Research offered by the institute. 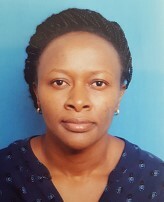 Currently she is the Head of Quality Assurance for the whole institute under the Research Quality Assurance Unit (RQA); her main role is to ensure health research conducted have and conform to the set standards. The RQA Unit provide Quality Assessments to projects within and outside the institute.